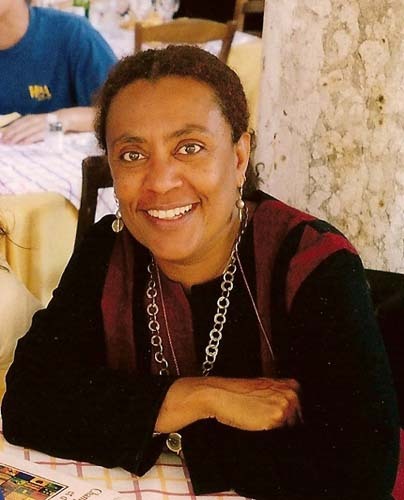 Ivorian writer Véronique Tadjo, author of As the Crow Flies (Heinemann, 2001), Queen Pokou (Ayebia Clarke, 2008) and two other novels translated into English, is one of very few writers straddling the divide between anglophone and francophone literature in Africa. She was at the 2013 Caine Prize Workshop in Garuga, Uganda, as one of the two facilitators with Pam Nichols, Head of the Writing Centre at the University of the Witwatersrand, Johannesburg. Sunday Trust engaged her on the two spheres of African literature, the crisis in her native Côte d’Ivoire and the growing role of women writers. Can you tell us something about yourself that we don’t know already? (Laughs), oh, wow! There are a lot of things you don’t know, no? (Laughs) OK, I’ve lived in Lagos for two years back in the ‘80s and I have fond memories and kept very good friends from then. It was a very important period for me, and for my writing. It was a place that inspired me a lot because I found that the contrast between the urban setting and traditional culture (so much alive) was striking. Yes, when I think about my time in Nigeria, I am very happy I had the privilege to go there. So what took you to Lagos? I was a full time writer, what you could call a “young” writer at the time and Nick, my husband, was a journalist. He was the bureau chief for Reuters in Lagos. You know, I am absolutely terrible with dates. I can’t remember my birthday! (Laughs) So, all I can tell you right now is that it was in the 80s, yes, it was 1986-88. I am just thinking to help me . . . my son was born just after, so yes (laughs). You have been in Garuga for some time working with participants at the Caine Prize Workshop. What has been your impression? We are in a very, very beautiful environment and I found the atmosphere really, really convivial. Everybody got to know one another quickly and there was a constructive atmosphere. Plus, I enjoyed reading the participants’ stories because they came from different angles. It’s always valuable because you learn so much. It’s almost like, for lack of a better word, a crash course on Africa today with themes coming from many countries. Nigeria is represented, and you have Botswana, Malawi, Uganda, Zimbabwe, and then writers living in the Diaspora. I enjoyed the whole process and the discussions that followed. So have you been disappointed in some aspects or has the workshop lived up to your expectations? Not at all disappointed. On the contrary. The only challenge was that you had young writers and more experienced ones, so it was a question of balancing the mix. That’s what I liked about the atmosphere. It felt like it was a group, instead of some people being detached from others. It was a group all through the workshop, which I think was great for young writers who must have got a lot out of it. And it was also a good thing for the more established ones because they talked to one another and shared experiences. I thought the whole thing was very good. There is this dichotomy between anglophone and francophone African literature and there hasn’t been much contact between the two. Why do you think this is the case? I totally agree with you and I despair at times. And that’s the reason I am here to continue the dialogue, strengthen the dialogue. I have lived a lot in anglophone countries and I am very aware of what’s happening. And I think there are lots of commonalities between anglophone Africa and francophone Africa but there’s the obstacle of language. That is if you only take French and English into account because, of course, there are many local languages. But let’s say we restrict ourselves to English and French – they are an obstacle. Added to this is the question of networks. If you look at the publishing industry, there are so many things we have in common; there are so many similarities, but we don’t come from the same networks at all. Francophone writers operate within a network that is tied to France, unfortunately or fortunately, I don’t know (laughs) and anglophone writers are tied to a network that is linked to Britain and the US, again fortunately or unfortunately. So we are going our parallel ways although we have so much in common. You are one of few francophone writers bridging the gap. Several of your books written in French have been translated into English. Only a handful of francophone writers resonate in the anglophone sphere; writers like Camara Laye, Mariama Bâ and the more contemporary ones like Alain Mabanckou. Basically, what more do you think can be done to bridge this gap? It’s essentially the networks as I said earlier. One way would be to have more conferences and meetings when we get together and try to confront the issues of language and translation, for example. Plus, if we take part in residencies together, that would make it easier to solve the problem. Books in translation need to circulate more between the two spheres because if you can read me, but I can’t read you, and vice versa, what are our common grounds? Apart from that, there is a need to have better access to classics. I wish organisations like the African Union would recognise the need to share experiences that would strengthen the continent as a whole. I mean, why should you be in your corner working out problems that I have experienced in my corner and not share this knowledge in order [for us] to move forward? Being that you straddle the divide between anglophone and francophone literature, what are the things they have in common? If we are looking at African literature, I would say that we share all the themes: the difficulties and rewards of being on the continent. The life we have been forced to experience because of our political elites; wars and conflicts but also the good things like love and friendship. I think, at the end of the day, it’s very much about context. Literature carries universal themes wherever you go and it’s just that we operate in different environments. The political angle might seem less obvious in francophone literature but in fact it tends to be very strong. There is this imposed culture from colonialism that has created further cultural differences between anglophone and francophone countries, how does that reflect in literature? You mean the whole “direct rule” versus “indirect rule” question? No, the mind-set, the cultural and political differences. You want me to tell you the truth? For me, I see African literature as one. Perhaps this is because I read in both languages. When I pick up a book, it may be in French or I pick another one and it may be in English, for me it’s one. The differences are smaller than the similarities. You take Sembene Ousmane or Chinua Achebe, for example, at the end of the day, they are not the same people and they don’t write the same thing but they come from the same place (Achebe concentrating on colonial rule imposed by the British, and Sembene Ousmane on the experience in francophone Africa). Even in the younger generation, if you take someone like Chimamanda Adichie or Binyavanga [Wainaina] on one side, and Alain Mabanckou and Fatou Diome, on the other side, for me, they come from the same pool. It’s not that I don’t see any difference it’s just that they come from the same mind-set. That’s interesting. There is this philosophy of the writer being the headlight in Francophone literature, being an “intellectuel”, they call it. Do you subscribe to that? You mean the role of the writer? Does Véronique Tadjo see herself as a mouthpiece? Not as a mouthpiece. But I feel that if you write, you carry a responsibility. Otherwise, just scribble in your book and put it in your drawer or do something else. If you put it out there, then there is a sense of responsibility. This is valid for all artists in general and people who, through their art, become socially relevant. I don’t quite believe in arts for arts’ sake. You were in Nigeria last year where you delivered a keynote address at the Garden City Literary Festival on the role of women in literature. And now you are here in Uganda and you’ve seen what the Ugandan women writers association FEMRITE is doing. And then you have all these wonderful women who are writing some incredible stuff like Chimamanda, NoViolet Bulawayo and others. Has your view changed about women in literature from then? Did I say anything bad? (Laughs) I don’t remember. You make it sound as if I said something bad. No, not really. You talked about the role of women in literature . . . I think that when you look at anthologies and what “official” African literature is, you still find that the numbers are very low in terms of canonical women writers – the ones that you refer to when you talk about African literature. Men’s books still make up the larger number found in canonical literature of the continent (to study and to talk about). I think we have a lot more women writing than before. What do you think is happening that is bringing about this growth? It’s just a question of generation. If you look at francophone Africa, you will see that the entry of women in literature was around the ‘80s, and it corresponds, when you take into account the date of independence which was around the ‘60s in most African countries, to a generation of mass education. Women being in school as opposed to staying at home. Yet even then our fathers had access to education while their sisters didn’t go to school. So it took at least one generation to see an evolution. And as we go along, we’ll have more generations of women coming to literature. You may feel it is sudden but no, it’s been going on for some time. There have been some challenges in your native Côte d’Ivoire, the civil war and the political crisis. Do you think it is your responsibility as a writer to document all of that? In fact, it is funny that you should ask the question because I have read some academic articles making exactly that point: that I have been trying to document what has been happening in Côte d’Ivoire through my writing. It made me think: let me look at it closely. And then I realised that yes, it’s true, that’s what I have been trying to do. And how important is it to you? To document what has been happening. I think it is very important because it is a question of memory, it is a question of saying this happened at some point. And it is essential that we remember so that we learn from what we have experienced and lost. Not as documentary but as literature. What are the challenges then, for those of us not too familiar with the intricacies of francophone literature, what are the challenges of writing in your own corner of the world? You will find that the challenges are the same. Problems finding publishers, for instance, which means that you have to send your manuscript abroad and hope it will get some interest and also hope you won’t be under too much pressure to fit into whatever the agenda is. But luckily, these things are changing. You have more African publishers today. But the problem on the continent is that, at times, your book might not go outside. It is a shame because in an ideal world, a writer wants to be published locally and internationally. So we have the same problems in this regard. Distribution is a problem, the price of books is a problem . . . but what is doubly sad in the case of Côte d’Ivoire is that we were doing pretty well before the crisis. Then you have something like that and you have to reconstruct everything. You have to start from scratch and this is very frustrating and sad. All arts in general suffer in times of crisis. What was the defining moment for you? When did you realise you wanted to be a writer? Ok. There are two things: being a writer and being published, these are two different things. I was writing before I got published. It was only after I got published that I thought I might pursue the writing path. I started with poetry, yeah, and I was always writing. Only after I entered a competition and won the first prize which meant that the book was automatically published did I say to myself, Ah! Maybe I could try this. So for me, there are two different stages: the writing stage and the publishing stage. Since you’ve been published and you are now a writer (Laughs). . . Yes, “officially”, and you have been for a very long time – what has been the most fulfilling moment for you as a writer? Recognition is always a good thing when you get a prize. It is good to get that from time to time to continue. This being said, I’ve got a long view of writing. Because I am straddling two spheres, I know that it takes longer than if I had been on one path and focusing. For me, it is very important that I still have my enthusiasm and that I still want to do my best. I still have the energy to do the best I can. These things are very important. If I feel passion, I am OK.
Have you ever considered writing in English or is your mind made up that you will forever write in French? No, no. I do write in English, but short stories, short pieces. Sometimes, I think of bringing out all the pieces I have done in English because I am in that world and people ask me a lot. This being said, I am still emotionally attached to French (laughs). So any last words to your fans, your admirers, all those who look up to you and want to be like you someday? What should I say? I mean, if you want to write, take it as a passion. It is something that must grab you and take hold of you. It will take you to wonderful places. For me, it is more of a way of life than a career or anything else. It certainly has a lot of rewards in the opportunity it gives you to meet so many different people. Tadjo is a phenomenal woman.